Just 18 miles from the Sea-Tac International Airport, the Greater Tacoma Convention Center (GTCC) is located in walkable downtown Tacoma in the heart of a thriving arts and culture district. Would you like more information about things to do while you are in Tacoma, or help finding a destination for dinner? 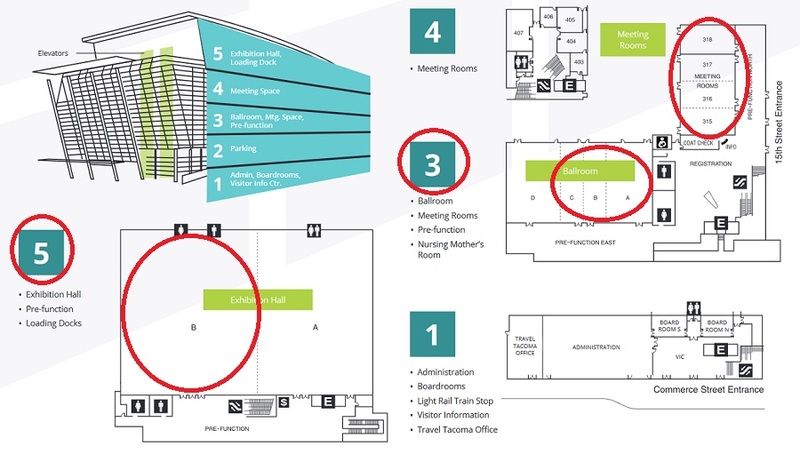 You can check out the Visitor Information Center located on the 1st floor of the GTCC!